Instead of the traditional call for projects, the International Architecture Biennale Rotterdam (IABR) has released a call for practices for its 2018 and 2020 editions, which will share a common mission and focus on the environment. The biennials, collectively called The Missing Link, tackle the role of design in confronting climate change. The curators want participants generate actionable responses to some of the UN’s sustainable development goals, which were released after the 2015 Paris Climate Agreement. IABR curators are asking designers and others to engage renewable energy systems, water management, sustainable agriculture, biodiversity, and resource management within cities to provide research and design rubrics that encourage positive change in these fields. The Missing Link will proceed in three stages. The 2018 edition is framed as a “work biennale,” while the years between the 2018 and 2020 biennials will be devoted to research on shifting these ideas into practical use, and the results will be shared with the world in the 2020 program. IABR hopes that the three year process will establish a “community of practice” that results in a shared biennial to be presented in both the Netherlands and Belgium. The curatorial team includes Floris Alkemade, Leo van Broeck, and Joachim Declerck. The trio of Belgian and Dutch curators will work on both biennials. 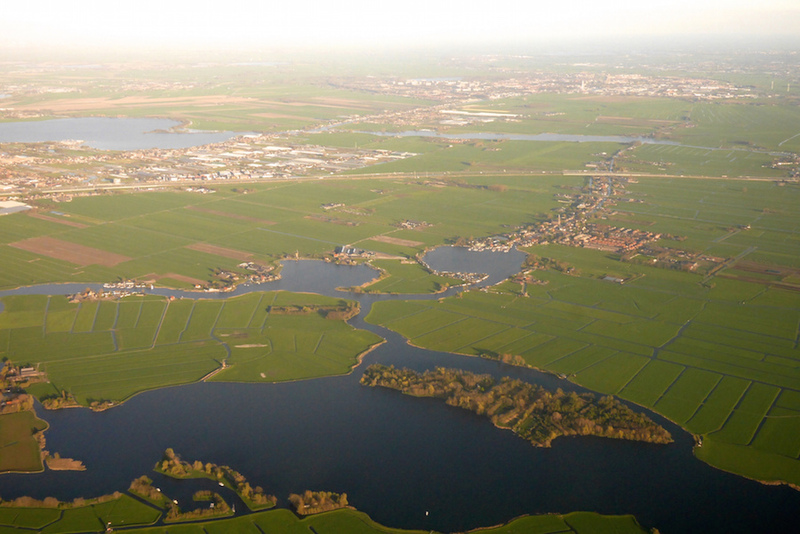 The base of operations for the entire project will be the Rhine-Meuse-Scheldt delta in the Netherlands, a site the curators chose for its connection to cities and the natural environment. At the confluence of three major rivers, the delta links together a series of major ports including Rotterdam, Antwerp, Amsterdam, Vlissingen, and Ghent. IABR 2018 will debut on May 31 and run through July 8, 2018, and IABR is scheduled for spring 2020. Applications for IABR 2018 and 2020 are open until November 22, 2017.